Just imagine, drifting lightly above tops of trees, soaring high in sky to enjoy stunning panoramic sights of Wiltshire. If you really wish to have something quite different in life which is also unforgettable or even addictive, then, hot air balloon Flights in Wiltshire can turn into best experience. Due to spectacular landscape, huge cultural significance and historical importance, the popularity of balloon rides in Wiltshire increase among intellectuals, historians and tourists every year. Some most popular sightseeing places of Wiltshire incorporate World Heritage Sites such as Avebury and Stonehenge. ‘Salisbury cathedral’ is another important tourist attraction point; many gardens and historic houses make sure that there is something of interest for almost everyone. Five Rivers Leisure Centre: This centre is located at Hulse Road, off the ‘A345 Salisbury City Centre’ to the road of Amesbury. You can meet our hot air balloon team outside of leisure centre, at the doorway to car parking space. If you find it difficult to locate the site, feel free to call the team at telephone number, 01747 852456. Sandy balls, camping park: This park is located near fordingbridge, so if you are at Fordingbridge, Wiltshire right now, then, you can join our hot air balloon team at reception car parking area at Goshill. It is situated around one mile east of Fordingbridge and ten miles south of ‘Salisbury’, on B3078. Greyfisher Hungary Horse: It is situated in Ayleswade Rd, of Salisbury in Wiltshire. It falls just before ‘Avon River’ bridge on left side of dual carriage way as you get entry in ‘Salisbury Centre’ from south side on A354. You can meet our hot air balloon staff in large car parking lot adjacent to beer garden. Codford St Peter: It comes in Village recreation field, and is sited seven miles to south eastern region of Warminster. We will meet at recreation field. For other important details on the flights, you can simply browse through our website. 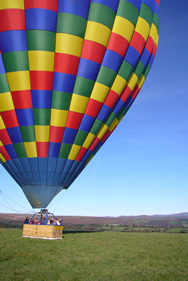 Hot air balloon flights in Wiltshire will offer you a fun packed adventure, with the unique experience of excitement and romance. Whether you want to experience balloon rides yourself, or just surprise your loved ones by giving it, balloon rides make the perfect present for any occasion including birthdays, wedding anniversaries and Christmas gifts. So what are you waiting for? Join the ballooning team right now and experience most brilliant flying adventure over the Wiltshire countryside.